I don’t know about you, but my favorite part of a rainy day or Sunday afternoon is curling up on the sofa with a good book and a cup of tea. Like C. S. Lewis said, “You can’t get a cup of tea big enough or a book long enough to suit me.” There’s only one thing missing from this picture: a comfy throw blanket to curl up with. 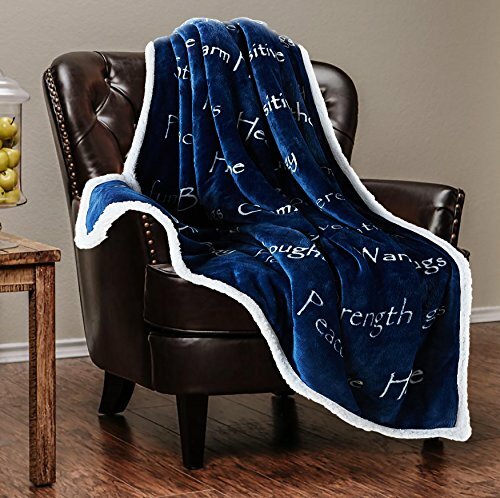 A throw blanket has many different functions. My favorite function is what I just said – having a comfy blanket for the couch. But it can also be part of your decoration. It can be an accent piece or part of the decoration scheme you already have going on in the room. Below, we will look at some of the best throws on the market this year. Because literally all I ever want to do is curl up with my blanket, I want it to be soft and warm. This blanket is fuzzy, plush, and everything I could ask for. Plus, it comes in six different colors, some of which can be used to make your throw really pop as an accent in the room. 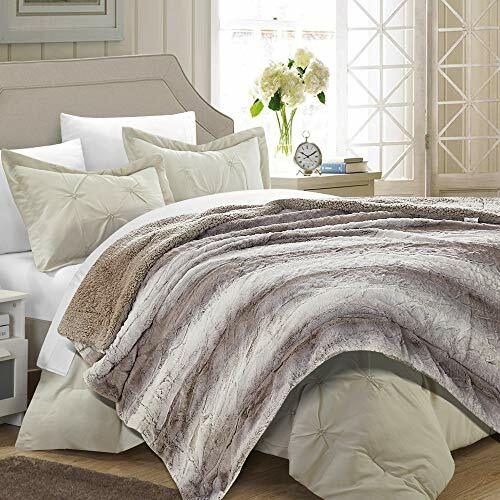 This blanket is also soft, fuzzy, and comes in different colors depending on your décor (or favorite color). Best part? It also comes in different sizes. 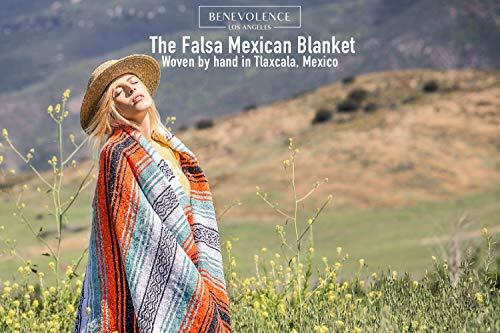 You can get this blanket big enough to use on your king size bed, which is also big enough to roll yourself up like a happy little warm blanket burrito. I feel comfy just thinking about it. To keep on this theme, this is another super fuzzy, comfy, plush blanket perfect for wrapping up in. That’s really all I want in a blanket to be honest. Now I will go into some blankets that also can add a bit of style to your room. I just bought this blanket last week and gave it to one of my best friends who is going through a hard time. I went over yesterday to find her walking around her house wrapped up in it because she loved “being enveloped in positive thoughts”. I chose the Ivory for her because the words are a lot more subtle than most of the other colors, but some of the brighter colors can be used to really make a pop accent in the room. If not for yourself, this is the perfect gift for friends and family. I highly recommend it, either as a gift or to envelop yourself in positive thoughts (because you deserve that too!). Blankets don’t always have to be fluffy. This blanket, available in 7 different color schemes, is a great functional blanket. You can use it in the living room as a nice accent or use it on the road or on a picnic. Plus, the company that makes this blanket gives part of all of their profits to charities fighting poverty in South America. Snuggle up knowing that you made a small difference by buying it. 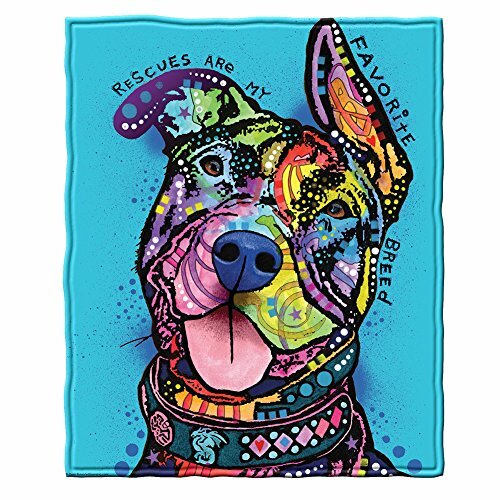 If you want to buy a throw blanket that is more of a statement piece in your room, what better way than to get one that incorporates some great artwork? 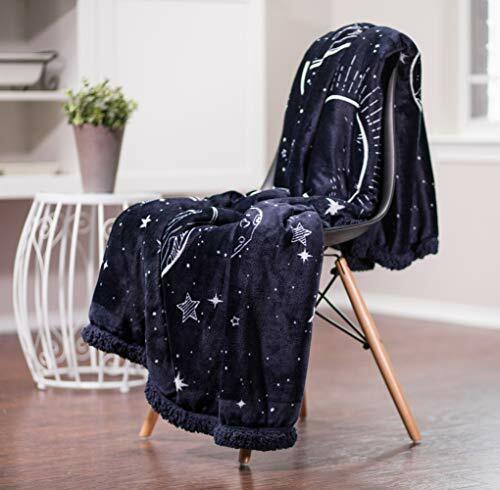 This adorable blanket has a gorgeous piece of art printed on it with a message that really speaks to me. If art isn’t really your thing, what about getting a blanket with something fun like your favorite comic or cartoon characters? 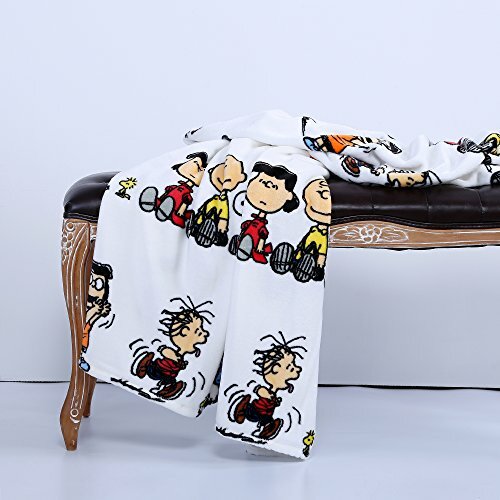 This blanket features the Peanuts gang, but you can find blankets with pretty much anything you want on them. What could be more personalized than turning one of your own photos into a blanket? This also makes great gifts, as you can give someone your favorite photo in blanket form. My friend had one of her pet who passed years ago, and she likes thinking that he is still with her with the blanket. Throws can have different functions, as discussed above. They can be fun and give your room a nice accessory or they can just be comfy and cute. 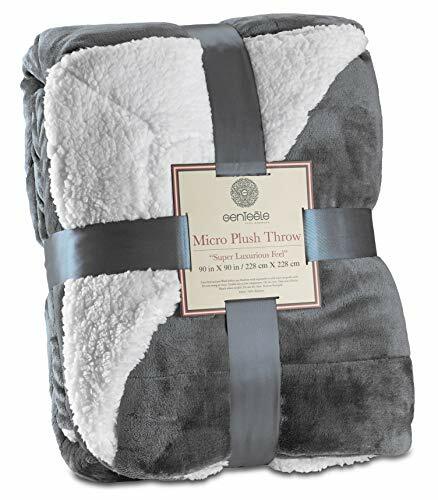 I’m a bit of a lazy homebody, so I really love the Genteele Sherpa Throw Blanket Super Soft Reversible Ultra Luxurious Plush Blanket best on this list. That being said, throws make excellent gifts. If you know someone else who is like me and just wants to curl up with a comfy blanket, any one of the blankets here would work. I highly recommend the Chanasya Warm Hugs Positive Energy Healing Thoughts Super Soft Sherpa Microfiber Comfort Caring Gift Throw Blanket. It’s the perfect gift and will be greatly appreciated. Now go make yourself a cup of tea, grab a book, and curl up in one of these blankets!